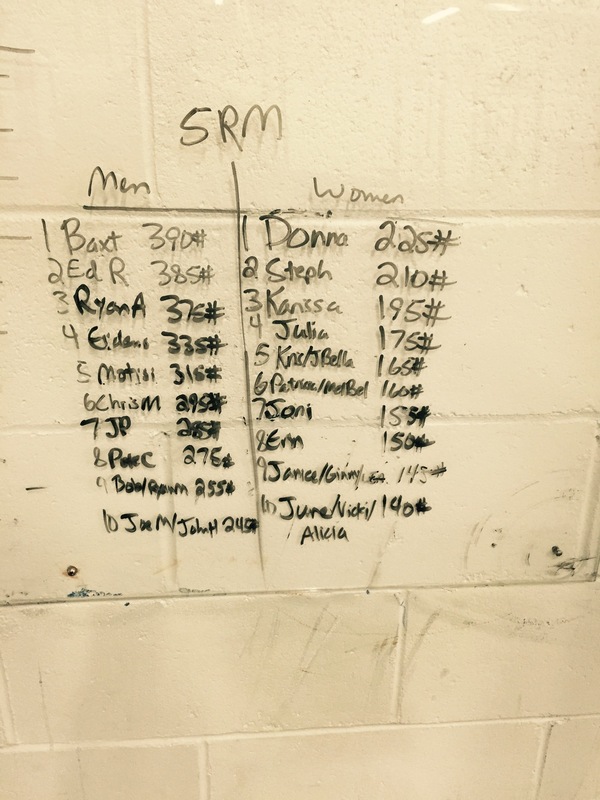 Congrats to Rosalie and Rob on the birth of Phoenix Reece, born August 9, 2015, 9:28pm, 8.0lbs 20" ---- early reports from the nursery are that he already cleans 300 snatches 200. Check out Dr. Sean in action during the Brute Strength retreat in Tahoe. He was able to work with 40 of the best bodies and minds in CrossFit preaching the Performance Care methodology. Conveniently for you, he and Jeremy are just a door away from the gym for all your Performance Care needs. Feel free to bring family and friends (there is no pressure to workout) and stay to enjoy the day on the beach with our amazing community!!! 5x 200m sprints 2 min rest between sets.